Right now I am totally hooked on english paper piecing. There is something almost therapeutic about sitting and hand-stitching little pieces of fabric together, not to mention you can pretty much take it anywhere. Which is a big plus with three little ones running every which way during the day. (Okay, two running and one scooting around pretty quickly.) 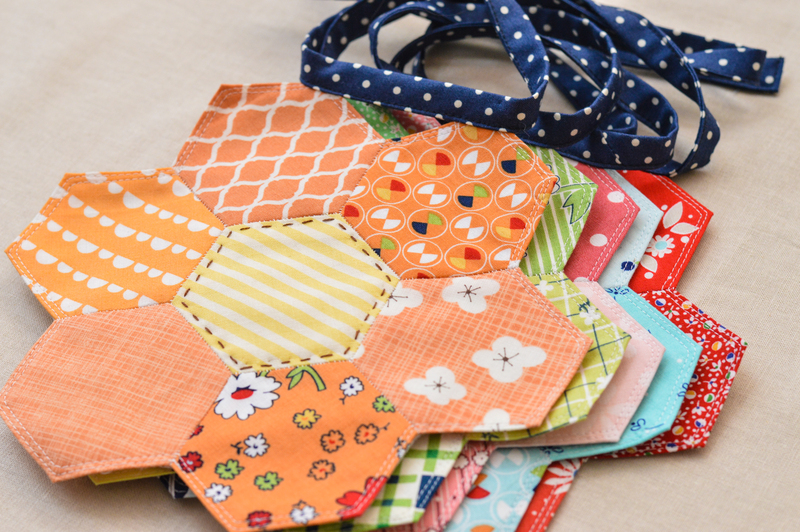 I spent this weekend sewing colorful hexagons together with my mom, and I think she’s even hooked on it now. As soon as I get on my computer I am pinning all of your work, it is so beautiful! If That’s okay? Mara, thank you so much for the kind words! 🙂 Pin away! 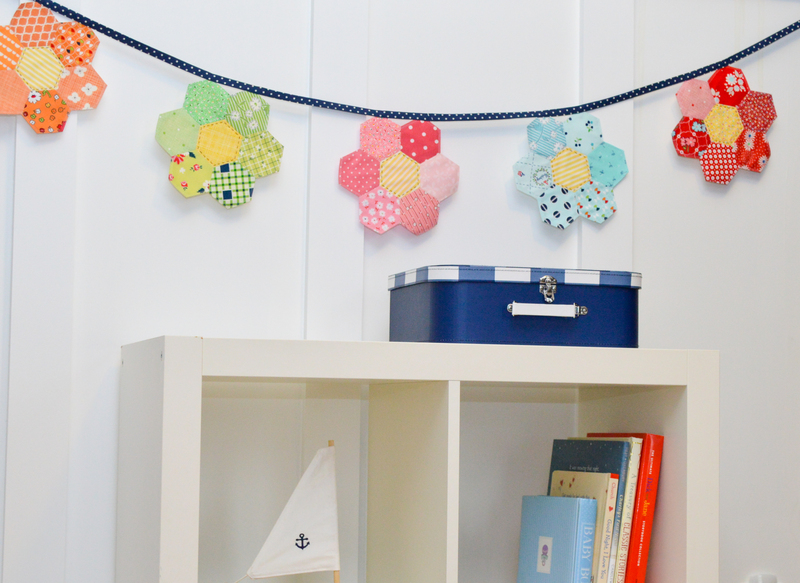 Best use of hexi flowers I’ve seen yet– LOVE IT! 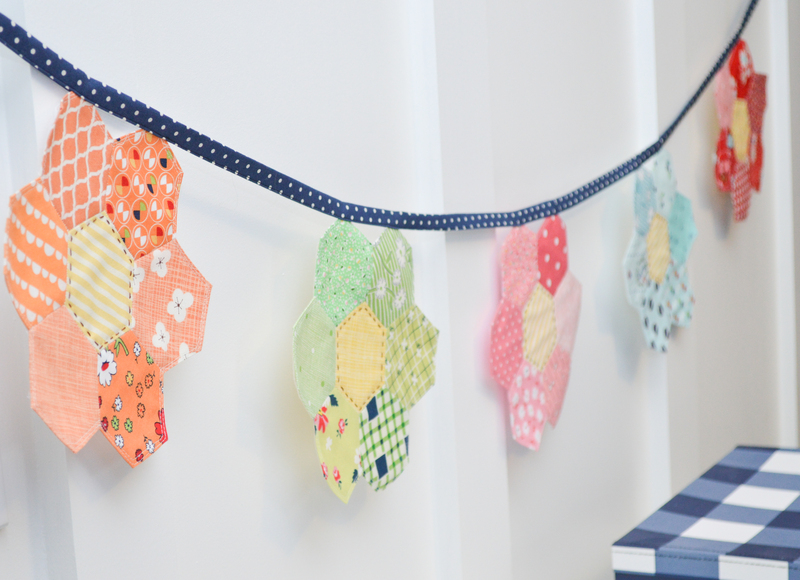 Makes me even want to try paper piecing (which scares me a bit!). I love this! How did you finish the backs of your flowers? Thank you! I traced around and cut a piece of felt to the same size as the finished flower. I trimmed off about 1/16th” around the entire felt piece, just to make sure it wasn’t visible from the front, and then sewed it to the back of the flower. Thank you so much! These are just so delightful!